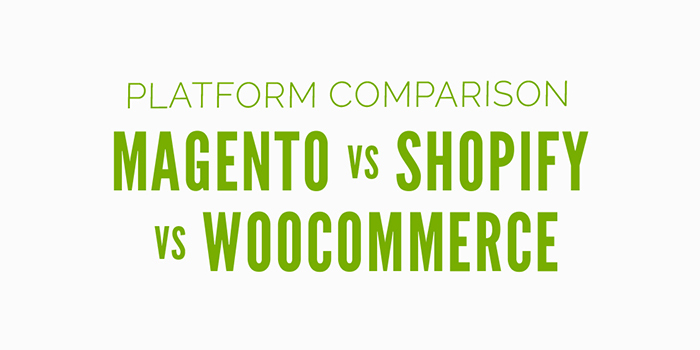 Magento vs Shopify: Which Platform Is Best For Enterprises? The ecommerce world is rich with excellent CMS options that run the gamut from basic drag-and-drop ease to complex customization aimed squarely at high-end brands. 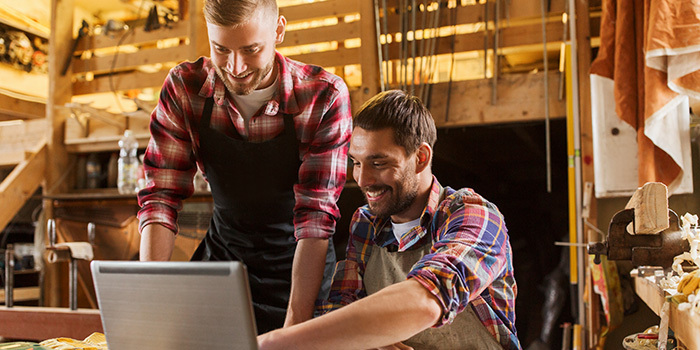 But when it comes to that enterprise level — the level that many small and medium stores aspire to reach — there are two options that stand above all others: Magento, and Shopify. Each one has a huge amount to offer, and is available in various different forms. In truth, you can’t go wrong with either one — but if you’re on the fence about which to choose and need a nudge in one direction, you might want to know which one gets the nod overall. That’s what we’ll look at here. Let’s consider which of Shopify and Magento is the better enterprise solution. Magento has had a somewhat-confusing history when it comes to versions and iterations, but the key variety to look at in this context is Magento Commerce (as opposed to Magento Open Source, a downloadable version not intended for use at scale). Making things even less transparent, what was a clear delineation between Magento Commerce and Magento Commerce Cloud has now been left quite muddy. While on-premise installation is still an option, you might not get that impression from reading the website copy. In general, communication is a point of weakness for Magento. Even their landing page copy is far from beginner-friendly, and the lack of clear pricing context (you’re required to seek a unique quote to learn more) is likely to prove frustrating to many. But if you’re willing to push past that awkwardness, you’ll find an immensely-powerful and flexible platform that runs some of the top stores in the world. Staying at the top requires top-notch performance and an ever-expanding set of features — each being something that Magento delivers as a core part of its design. Investing in a Magento store is akin to buying a large but unfurnished house. You’ll have a lot of work to do to make it what you want, but there’s so much potential there (particularly now that it’s owned by Adobe) that it makes the perfect foundation for a long-term project. Shopify, on the other hand, has stayed fairly straightforward since its inception in 2006. There are essentially five tiers now, starting with Shopify Lite and going all the way up to Shopify Plus, the tier aimed at enterprise users. What of the pricing? Well, Shopify Plus is as opaque as Magento Commerce, which is similarly frustrating — but the Advanced Shopify plan would be enough for many enterprise businesses, and that costs $299.99 per month, so it gives you a point of comparison. Furthermore, Shopify support is excellent, and the website is clear and informative. Unlike Magento, Shopify is a fully-hosted solution at every tier, ruling out the prospect of running a local version of your Shopify site. Having the option would be useful, yes, but the absolute commitment to hosting ensures that the company has a focus that Magento can’t match. Instead of thinking about how to get speeds up, you just trust the Shopify servers to work. There’s an interesting parallel to be drawn between Magento vs Shopify and Android vs iOS. Like iOS, Shopify is slick, powerful, and cleverly designed to do everything that most people need — but it also limits you to some extent. Like Android, Magento gives you freedom to experiment, but will make your life harder if you don’t know exactly what you’re doing. So, in what circumstances is Magento the better option for an enterprise? Well, it comes down to two things: a need for customization, and a desire to achieve industry-leading performance levels. Magento gives you the option of using self-hosting, allowing you unlimited control over the code and its delivery. Any change you can imagine is yours to make. And while Magento can be slow if implemented poorly, the basics are rock-solid. It’s simply up to you to determine the best way to host and optimize it (you can find myriad tips here). At no point will you be left to feel that the state of your store is out of your hands. It’ll cost more than Shopify, and have a rougher learning curve, but that investment could pay off in a big way if you keep turning that customizability to your advantage. The advantages of Shopify are very clear-cut: it’s easy to use (even for beginners), it offers everything you’ll need for regular ecommerce (and plenty more besides), and it’s comparatively cheap, particularly when you factor in the inclusion of hosting at every tier. If you intend to grow your business significantly but don’t expect to do anything unusual with your website, there may be little incentive to pursue anything more complex than Shopify. It has limitations, of course. Though it has a template language called Liquid that can be modified, the flexibility only goes so far, so if you have big aspirations for tweaking everything (down to the smallest detail) then you’ll need Magento. But it’s also true that Shopify’s support system is exceptional, and its popularity means that there’s a strong community around it. Can there be a winner? Trying to name one platform that’s the inarguable best for enterprises in general is difficult. If one of these two platforms didn’t exist, then the other would take that spot easily enough, but (fortunately for consumers) we have both available. If you’re thinking about Magento, ask yourself this: are you fully prepared for the demands of that type of effort? For instance, there’s no sense in trying to finely optimize every last element of a store if you’re not putting a comparable amount of effort into SEO (check out this intro to enterprise-level SEO from the Marketing Speak podcast for just a taste of the level of complexity that goes into it). And if you’re thinking about Shopify, ask yourself this: will it do everything you need it to, not only now but in perpetuity? Going with a solution that you can’t host yourself will adhere you to that system, and if a point arrives at which there’s a feature you want to implement that the system simply won’t support, then you might have some regrets. All that said, it’s vital to remember that signing up for one of these platforms doesn’t require you to use it forever. It is possible to migrate from one to the other if you decide that you want to try something new, particularly if you use a service such as Cart2Cart. So don’t worry too much if you have mild reservations before you choose. Take advantage of trials, ask as many questions as you can, and go with your gut.